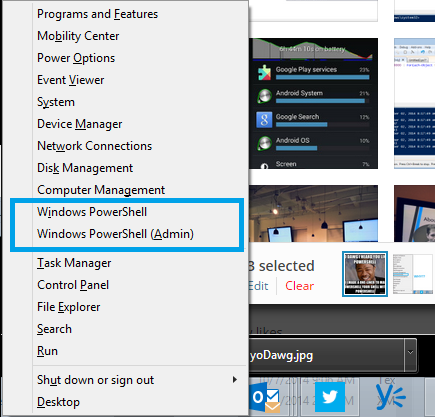 In a conversation on Twitter, I lamented with some friends that Hitting Windows+X in Windows 8 and above opens up the admin window, but still–In 2014–lists Command Prompt as the CLI. Maybe in Windows Vista this would have made sense…but PowerShell had already been out for SIX YEARS when Windows 8 shipped. 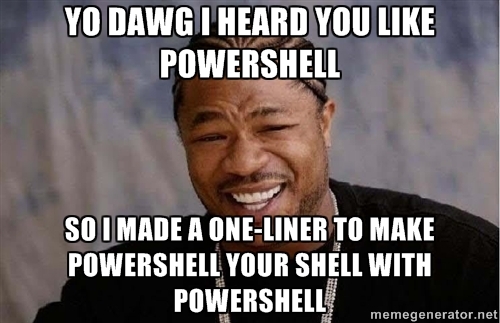 With one single line of PowerShell, we can right this grieveous wrong.